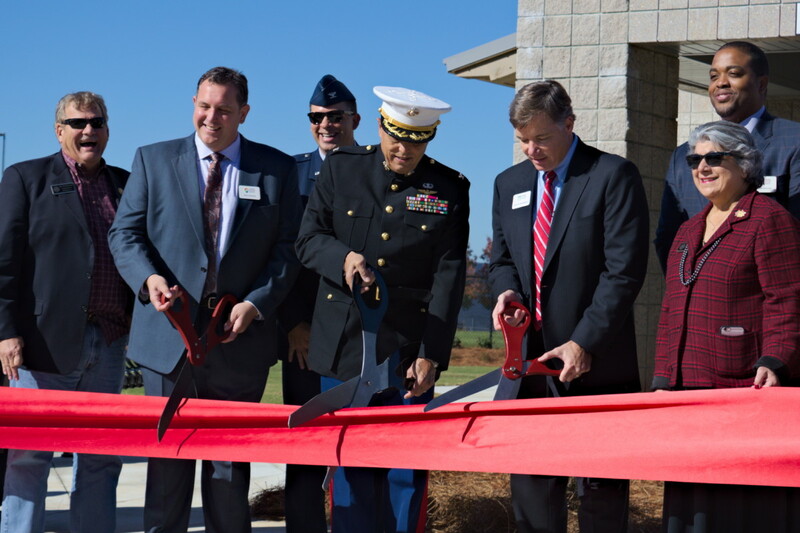 Watch the slideshow of the Aviation Park opening ceremony below. 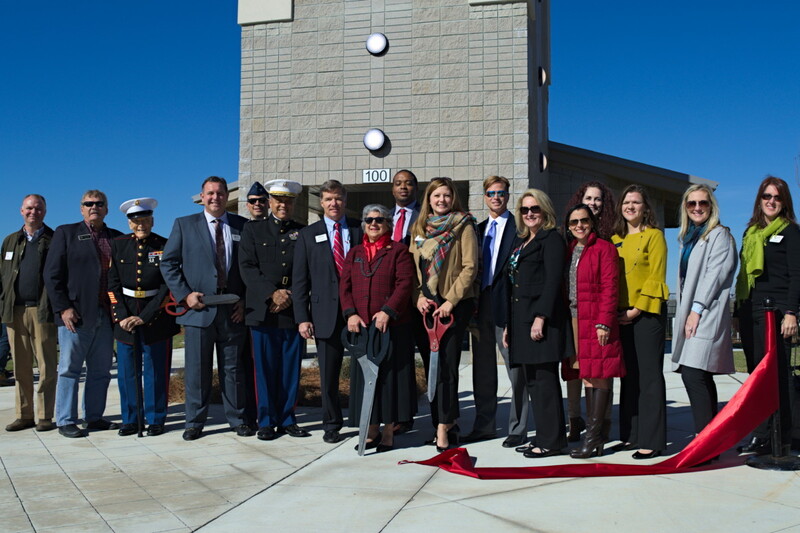 While planes passed overhead into McCollum Field, Cobb County reached new heights Friday, Nov. 10, as officials cut the ribbon on Aviation Park. Sitting on three acres at the corner of Barrett Lakes and Cobb Place boulevards, the $2.75-million park was paid for by the Town Center Community Improvement District. 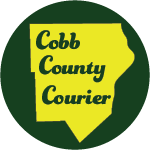 Now that the park is open, it will be owned and operated by Cobb County. The project broke ground in May of this year, cutting the ribbon just six months later. “We were on time and under budget and really excited about that,” said Tracy Rathbone, the executive director of the Town Center CID. The park sits along Noonday Creek Trail, another project by the CID that stretches seven miles. The trail was completed in 2014, with improvements added regularly. “We knew that Aviation Park was the next step in that master plan for green space and quality of life,” Rathbone said. Located near McCollum Airport, the park features a pavilion meant to look like a plane’s wingspan and restrooms built like the airport control towers. 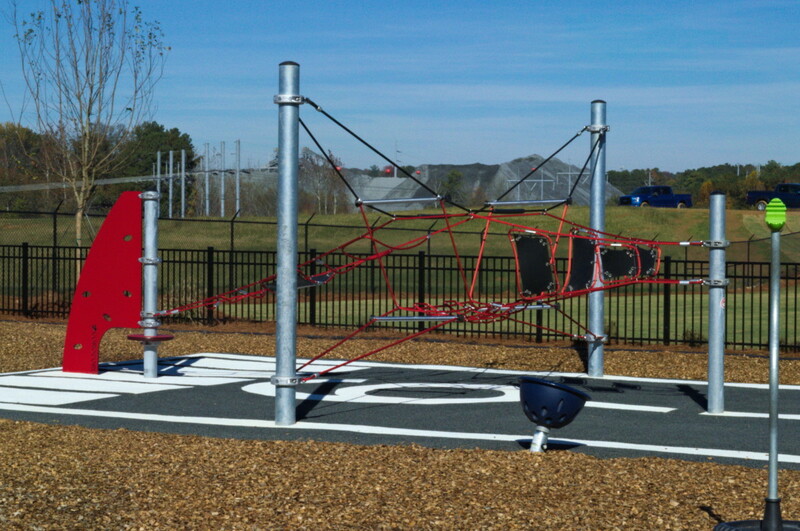 The entire playground was designed with aviation in mind, from the rubber surface that mimics McCollum’s runway to the rope-and-cable airplane for kids to climb. The playground also features an interactive game that encourages children to combine mental and physical activity. 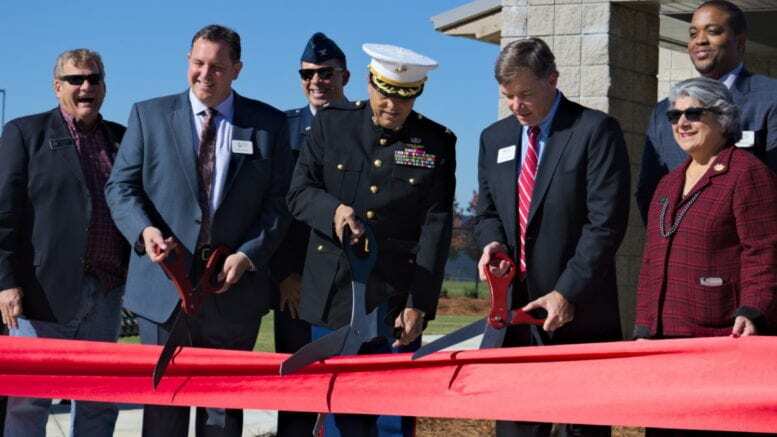 In addition to these amenities, the park offers open green space for viewing planes as they land and take off from the Cobb County International Airport. Rathbone said there are plans for family events and food trucks, and one resident has already booked a birthday party at the park. “To bring park space into the Town Center CID in a meaningful way … really creates the sense of place that we want to have in our community,” Rathbone said. If anyone feels that sense of place, it’s Larry Thompson. 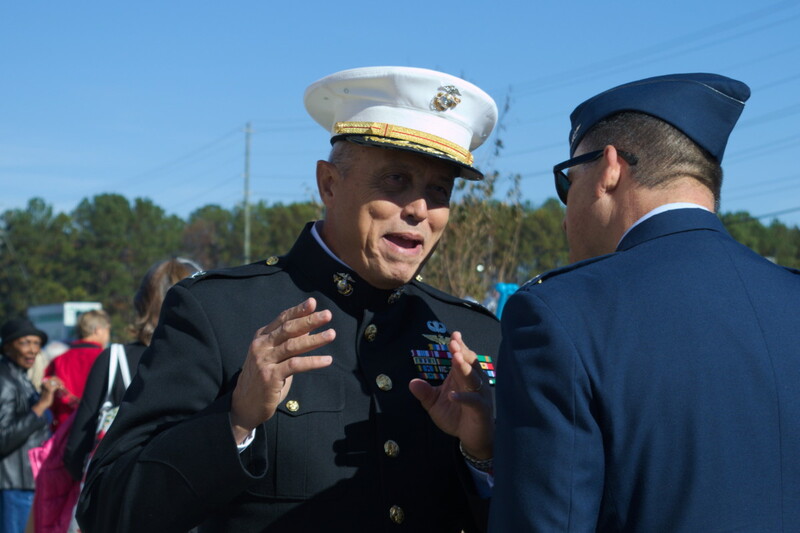 Alongside the Town Center CID and Cobb County officials, Thompson gave remarks during the ribbon-cutting ceremony as a lifelong Cobb resident. 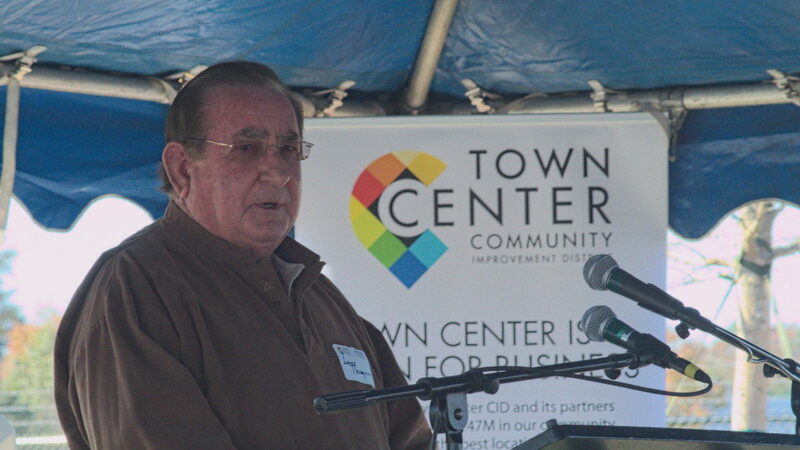 He delivered heartwarming stories and hilarious anecdotes about his run-ins with Herbert McCollum, the airport’s namesake when it opened in 1960 and the county’s sole commissioner at the time. As someone who witnessed the beginnings of Cobb’s airport, Thompson said he’s excited to see Aviation Park come to fruition. Sierra Hubbard is a senior at Kennesaw State University, writing articles of every fashion for every publication she can get her hands on. Hard news journalism is her passion, regardless of the medium through which it is pursued. She is a freelance writer for the Cobb County Courier.